Ronebhal guesthouse is a beautiful Edwardian villa on the shores of Loch Etive, looking towards the island of Mull and the Ardnamurchan peninsula in the lovely village of Connel, 5 miles North of Oban. All rooms en-suite or with private bathroom. 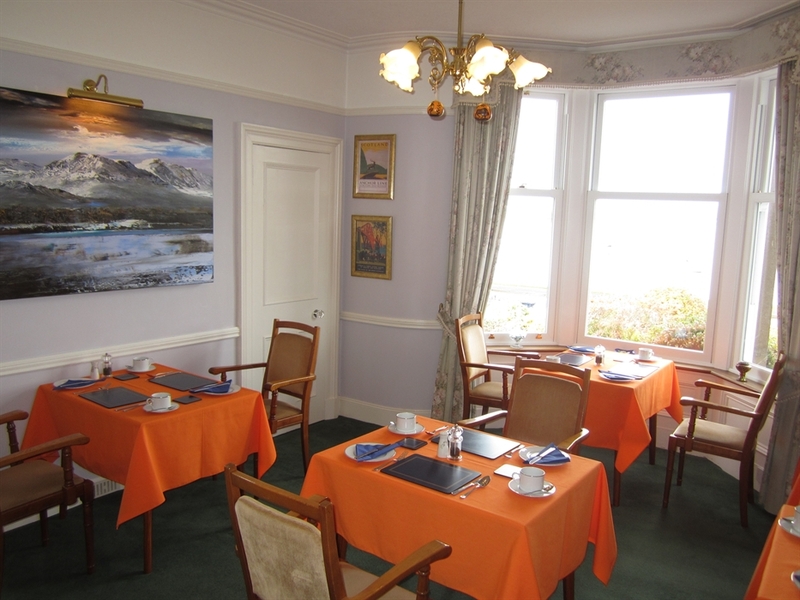 John & Sally look forward to welcoming you to Ronebhal guest house which was built in the early 20th century with well-proportioned rooms, high ceilings and retaining many original character features. The front-facing rooms, including the dining room, lounge and two deluxe bedrooms all have bay windows with stunning views across to Dunstaffnage, Morvern and the Isles of Mull & Lismore. Behind the Edwardian façade, you will find an extremely comfortable, warm and relaxing house with all the benefits we have come to expect in our modern lives while retaining its essential character. The sitting room is stocked with shelves of books for you to enjoy during your stay. Here you can relax and immerse yourself in the scene before you, sea otters, seals, herons, oyster catchers, and yachts setting off from the moorings opposite can all be seen regularly. Catch the sun slowly sinking behind the mountains of Mull & Morvern for a spectacular sunset. There is a pair of binoculars on the windowsill should something catch your eye. We have free Wi-Fi, with a strong signal in all rooms and public areas, so the lounge is a great place to relax and catch up on your media and emails. Throughout the house we have many original artworks and sculpture by contemporary artists to help you unwind and enjoy your break with us. There is free off-road parking for cars and bikes both motorised and pedal-powered. We are within 5 minutes walking distance from Connel Ferry railway station on the Glasgow/Oban line and buses to a variety of destinations stop opposite the house. The name Connel Ferry refers to the days when there was no road bridge across Loch Etive and a ferry used to work its way back and forth across the strong tides of the sea loch. Today the bridge does the job and also provides a great viewing platform for the Falls of Lora, a tidal overfall which runs at 12 knots creating spectacular whirlpools and eddies according to the state of the tide which is 5 minutes walk from the house. 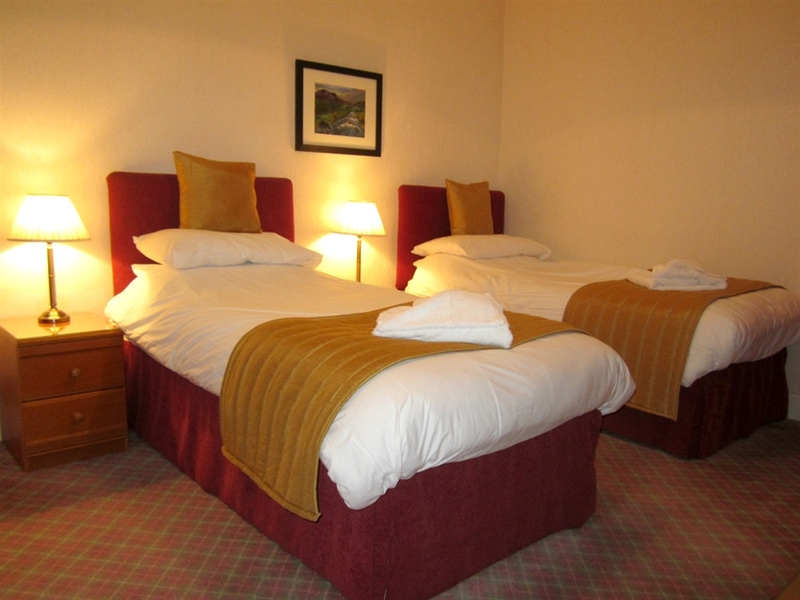 All our rooms have en-suite facilities or a private bathroom, all with luxury towels, toiletries & hairdryers. Our two rooms with private bathrooms are also equipped with luxury bathrobes. Our beds all have luxury percale, 200 thread-count bed linen with soft and firm pillows to make your sleep as comfortable and luxurious as we possibly can. All rooms have fresh tea, coffee and hot chocolate making facilities with nice mugs and bottles of fresh milk in a convenient fridge on the landing to ensure you can really enjoy your cuppa with a luxury biscuit. All rooms have TV/DVD as standard and there are DVD's in the lounge for your use during your stay. According to many nutritionists, breakfast is the most important meal of the day, so here at Ronebhal our aim is to start your day in the best way possible! We take our green credentials very seriously and this includes food miles. As much as is practically possible, our produce is sourced, grown or reared locally. Ok, our citrus comes from further afield, but our strawberries definitely come from closer to home! Wherever we can, we reduce the food miles on our menu to give you the best and most authentic natural tastes our unique location can provide. Our own website is being re-designed currently and will be live very shortly, however apologies if it is still not available when you try to load it. Check in is between 4pm and 7pm, but later is fine if you can give us a rough arrival time. All rooms have a maindoor key and a unique room key. Please call John or Sally should you have any further questions about Ronebhal.